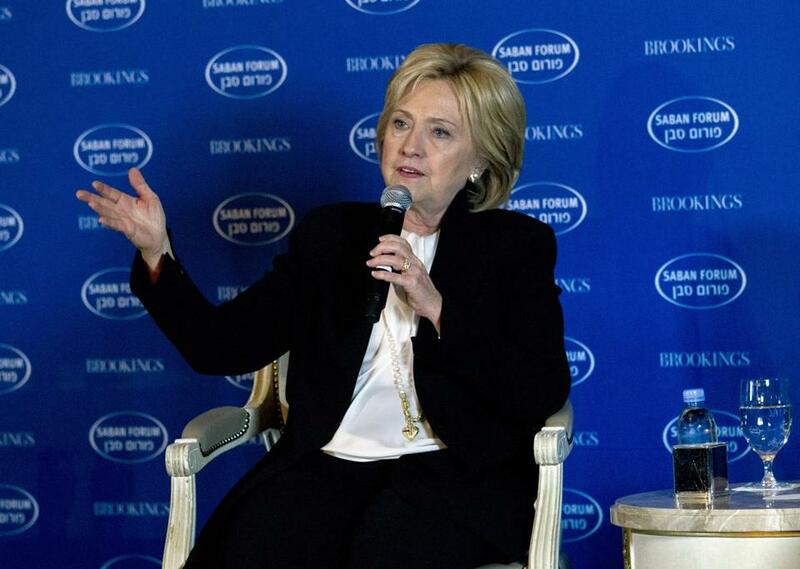 Democratic presidential candidate Hillary Clinton spoke at Saban Forum 2015 in Washington on Sunday. Democratic presidential candidate Hillary Clinton released a list of 190 Massachusetts endorsements on Monday ahead of the state’s March 1 presidential primary. Clinton’s “Massachusetts Leadership Council” includes many who have already endorsed Clinton like Boston Mayor Martin J. Walsh, US Senator Edward Markey and state Attorney General Maura Healey. The list includes all nine Massachusetts US representatives and 23 state senators. Clinton held a campaign event with Walsh the Sunday after Thanksgiving in Boston. She also attended a campaign fundraiser in Boston last week. Clinton’s two rivals for the Democratic nomination -- US Senator Bernie Sanders of Vermont and former Maryland governor Martin O’Malley -- have also campaigned in Massachusetts.